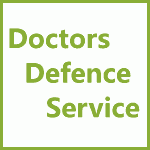 Instructing a Defence Expert in GMC Cases | Doctors Defence Service – UK. The GMC case investigation officers will instruct an independent expert to provide an opinion on the allegations that a doctor faces. If the opinion is favourable to the doctor then the case is likely to be closed without further action, without the case reaching the Rule 7 stage. Where there are some minor cricticisms, the GMC may ask the doctor complained about, to put in place some changes to their practice. Whereas, if the criticicms are more serious, the doctor will have to evidence steps of remediation and demonstrate insight. It may take some time for an expert instructed by the GMC to provide their opinion to the GMC investigations officer. A doctor who is facing allegations should consider instructing a defence expert early on, to ensure that there is sufficient time to obtain a defence report and to make follow up enquiries, where appropriate, when the GMC expert’s opinion is eventually disclosed. Once the GMC expert’s report becomes available it will be only a short period of time before the case is referred to the case examiners for consideration at the Rule 7 stage. The GMC may grant a short extension to allow for a defence expert to comment, but they will not grant a long period of time, by way of extension, generally speaking. A number of doctors misunderstand the requirments of the legal process and hold back on instructing a defence expert, believing that their own testimony will be sufficient to counter the GMC expert’s opinion. This is rarely the case, as the doctor complained about may not be objective enough or knowledgeable enough to comment on their own practice, and any commentary is likely to be viewed as self-serving. The case examiners may choose to give little weight to a doctor’s personal testimony, even where it is supported by academic literature, in the absence of a defence expert report. An independent expert is in a better position to give an objective and unbiased view, which in turn is more likely to be given greater weight by the case examiners at the GMC. The weight given to an independent opinion will usually be greater than the weight that is given to the doctor facing criticism. For that reason, a defence expert is in a stronger position to challenge the opinion of the expert called by the GMC. It should be noted, however, that the case examiners are not permitted, save in certain circumstances, to determine which expert’s opinion should be preferred, as that responsibility is reserved to the fitness to practise tribunal panels at the MPTS. Where there are significant differences of opinion, and where those differences might make all the difference to an assessment of whether a doctor’s fitness to practise is impaired, the case examiners will be likely to refer the allegations to a fitness to practise hearing. When instructing a defence expert in GMC cases, the expert should be sent the GMC papers, any relevant defence papers, as well as the academic literature that supports the approach the doctor has taken. Where a doctor, who is facing allegations, has acted within a respected (and reasonable) body of opinion, and the standard that they have reached in the care or intervention they have given to a patient reaches the appropriate minimum standard then the doctor is unlikely to be criticised. Where the experts disagree they are encouraged to meet face to face, in order to narrow the issues in contention. On occasions, a GMC expert will make further concessions that enables the case examiners to close the case on paper. As mentioned above, where there is a signifcant disagreement between the experts, it is unlikely that the GMC case examiners will be able to make a determination in favour of the doctor, on the papers alone, at the Rule 7 stage. In such circumstances, the case examiners will be likely to refer the doctor’s case to a fitness to practise hearing. At a fitness to practise hearing, the expert for the GMC will give evidence in person. They will set out the information and data that they have taken into account, whether in favour or against the doctor facing allegations, and then set out their opinion as to where the doctor did well and where they acted sub-optimally. An expert must comply with Part 35 of the Civil Procedure Rules, when providing a expert opinion. The GMC’s expert will explain to the tribunal how and when the doctor fell below the standards expected of a doctor working at their grade, and also whether the doctor fell seriously below the standards of a doctor working at their grade. A defence expert would then provide the same information, and explain why the doctor has not fallen below the standards expected of them. The doctor would also give evidence. Other witnesses might be called to give evidence, for both sides. The tribunal will take into account all of the evidence it hears but is likely to put significant weight on one or the other expert. Without a defence expert, in many cases where there is a dispute over the opinion of the GMC’s expert, the doctor complained of would be likely to lose their argument on an issue in dispute. There will be only a few occasions where it will not be necessary to instruct a defence expert. It is often best to have a defence expert sit through the factual evidence at a GMC/MPTS fitness to practise (FTP) hearing, so that they can take it all into account. It is also very useful for a defence expert to hear the evidence of the expert called by the GMC. A defence expert who sits in can also provide guidance to Counsel on the questions that need to be asked of the factual witnesses and of the GMC’s expert. A defence expert report may also prove to be of value in Interim Orders Tribunal (IOT) hearings. During such hearings, the panel does not make factual findings but instead looks at the weight of the evidence and the seriousness of the charges. Where the GMC has obtained an expert report, the use of a defence expert report to counter the weight to be attached to the GMC’s expert report can be of great assistance. The costs of using a defence expert in GMC cases are difficult to predict. Each expert will have their own hourly rate, and each case will have a unique number of pages of evidence that need to be considered. On average, a defence expert will provide a first opinion for a fee of between £800 and £2,500. Some experts also charge VAT on their fees. Further work may be required as the GMC case progresses. Hourly rates are usually between £150 and £500, depending on the expert’s experience and speciality. An expert will usually charge in the region of £800 to £1800 per day to attend a tribunal hearing. These charges are for the expert witness and do not inlcude defence legal costs. It should be noted that in some cases an expert who is not a clinician might be called to give evidence. For example, an accountant might be called where a doctor is facing allegations of fraud, or an expert in quality assurance might be called to give evidence about poor standards in their practice. Experts called by the GMC must also bear in mind the standards expected of them: Standards for GMC Experts.